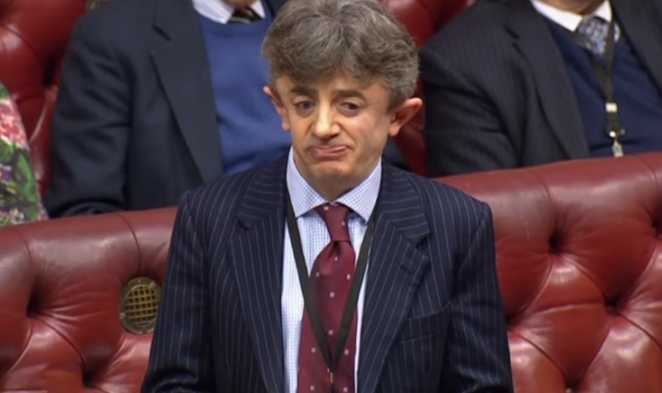 LONDON — A lawmaker in the U.K. who was born with a rare bone disorder lamented before parliament last week that people such as himself are “facing extinction” as he spoke of his bill to close a loophole in the law that allows for selective abortion based on disability. Shinkwin himself suffers from brittle bone disease. Shinkwin pointed to the 2016 Rio Paralymics, and noted that the very same disabilities that qualify a person for the games are the same that could get them killed in the womb under the law. “Our Paralympians represented their country in Rio with pride. [What was] the essential qualification for them competing at Rio? Their disability. Their country applauded their success—the same country whose law regards that essential qualification for going to Rio—disability—as a reason why they should die,” he outlined. “How, my lords, is that fair, is that right, is that logical? It is none of those,” Shinkwin proclaimed. He made similar statements in October in debating the legislation. He noted that there were 689 abortions in 2015 due to a Down syndrome diagnosis, and 11 abortions for “cleft lip or palate, an easily surgically rectifiable condition.” 230 abortions were past 24 weeks. In all, 3,213 babies in the UK lost their lives due to a disability diagnosis. Shinkwin’s bill cleared committee last week with unanimous support.